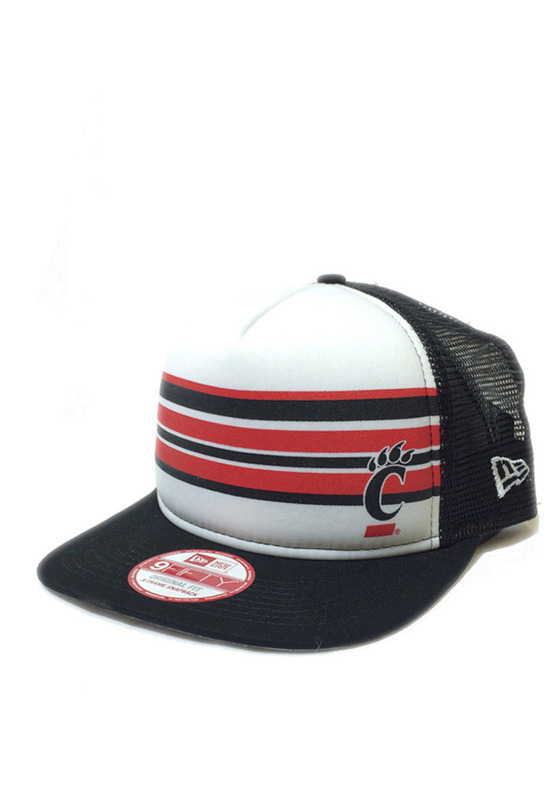 Wear your Bearcats style with pride in this Cincinnati Bearcats New Era Black Rally Stripe 9FIFTY Snapback Hat! This Cincinnati Snapback Hat features a sublimated stripe pattern and team logo on the foam front with a mesh back. Go Bearcats! !